Brothers Matt, left, and Greg Bechtel offered to help the council on the marijuana issue. Albany won’t jump into trying to prohibit medical marijuana dispensaries once they become legal under state law next spring, at least not right away. The city council Wednesday went along with advice it got from City Attorney Jim Delapoer to wait until legal questions about what cities can do under a new state law are settled. On October 23 the council went along with a request by member Bessie Johnson to have Delapoer report on the options Albany would have under House Bill 3460, passed this year, which authorizes medical pot dispensaries. Johnson said at the time she didn’t want dispensaries in Albany. The Oregon Health Authority is writing regulations under the law, which it’s supposed to do by March 15, 2014. Medford has decided to cancel or not grant business licenses to pot dispensaries on the grounds they violate federal law, but that action is likely to be challenged in court. The question is whether the legislature has preempted city regulation of dispensaries, and lawyers for the legislature say yes, it has. On Wednesday Delapoer suggested, and the council agreed, to do nothing until that legal question has been settled by others. Also Wednesday, the council heard from two brothers who say they have legally operated a place, Albany Alternative Health Solutions, where medical marijuana card holders come to take the substance. Greg and Matt Bechtel offered to help the city draft any marijuana-related regulations if the need arises. They don’t sell marijuana, which would be illegal under state law now, but they legally grow it for medical card holders. Complete legalization is no longer a matter of “if”; it’s a matter of “when.” And don’t get me wrong – endorsing legalization does not mean endorsing pot smoking. I view legalization in terms of liberty. We live in times that call for more, not less, personal freedom. As for the city, they should view legalization as an economic development opportunity. This could be the cash cow the city has been wanting. Thanks for the comment — and for being glued to hh-today at midnight! In the past few days, I have had multiple emails with Greg and have had coffee with both brothers. They were inquiring as to “how” to present information to council in a very upfront & professional manner. Dispensaries are already here – underground. They want to work with council, staff, police to make the process work — better than any other city in Oregon. They already have a business plan and do not want to run afoul of state law — even as that is changing rapidly. I applaud them for their service as veterans’ and their forthrightness in tryng to do this the right way — by getting other folks involved who could have the ability to help it work well. Thank you to Mr. Hering for reporting on the meeting last night and for taking the time to speak with us long after everyone else had left. Also, thank you to Councilor Kopczynski for making himself available to us as we move forward on this project. My brother Matthew and I, as Mr. Hering reported, are both service-connected disabled veterans (Matt was injured in Iraq – I was pre-Iraq era and was hurt stateside). We are keenly interested in veterans issues and we know Albany’s veteran community is enormous. After all, Albany does boast the largest veterans day parade west of the Mississippi which I am fortunate enough to have pass right in front of my porch. As such, when we began this project it was an outreach to other veterans in need, since, in the pursuit of our own pain management medication, the Department of Veterans Affairs was unable to provide relief that didn’t come with a litany of side-effects. As some of you may or may not know, there are very few options for patients to acquire their medication, and none of them are legally sanctioned. To date, we know of no facility that follows the legal guidelines with the rigidity that we do, and we encourage other members of the community interested in learning more to email us, either at my personal email (gregbechtel08@gmail.com) or our organizations email (ahealthsolutions@gmail.com). What we asked of the city last night was to work with us to draft regulation to ensure patients are protected, organizations are accountable, and that medical marijuana is not treated as a luxury, recreational drug. This is a medicine to people and far smarter people than I have already established that to such a degree the state of Oregon and 23 other states have legalized some form of use. As a last note, it might be interesting for those on the other side of the fence to know that my brother and I both oppose legalization of recreational use of marijuana, much in the same way we adamantly oppose recreational (or any) use of tobacco. As such, tobacco cessation will also be at the fore of our medical marijuana dispensation clinic in Albany. Marijuana is and should be treated as a medicine. 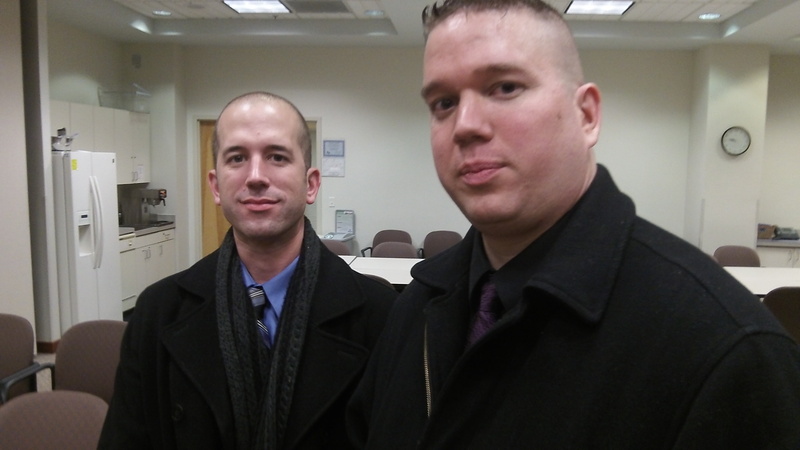 Thank you again to Mr. Hering and Mr. Kopcyznski for their assistance and support in this matter. Additionally, we’d like to thank the city council and the mayor for allowing us to speak and present our project before them. A special thank you to Mr. Delapoer, not just for his word choice last night, but also for his diligence in researching the city’s options and presenting them in an unbiased legislative light. Please feel free to comment here if you feel so inclined, as I will be checking back and answering any questions I am able.